KUF periodically holds letter writing groups for Amnesty International. 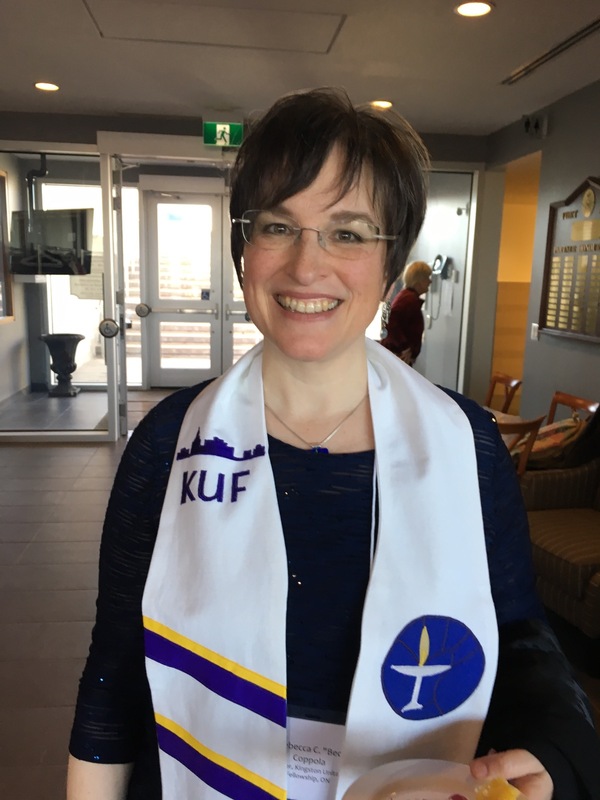 KUF is one of over twenty Child Haven International Support Groups, mostly in Canada, who throw an annual Child Haven International benefit. Long time friends of KUF, Bonnie, Fred and their son Robin Cappuccino are the founders of eight children’s homes in India, Bangladesh and Nepal which serve about a thousand children, plus many women and seniors, using Gandhi’s principals of with NO proselytizing and NO discrimination by gender, caste, race, religion or culture. The KUF benefit for Child Haven is a supper each spring, with great Indian food, beautiful fair trade Indian handicrafts and spectacular Bollywood dancing. Some of our dedicated volunteers have been or are planning to be three month interns, going to live at a home to learn more! *Look up www.childhaven.ca to see Child Haven’s site, the latest newsletters and a preview of the Needs List. The Canadian Unitarian Council has been active in support of individuals being able to be involved in decisions of conscience in dying with dignity. Kingston Unitarian Fellowship affirms the Unitarian Principle of “the inherent worth and dignity of every person”. For more information, read the CUC press release at CUC Applauds Decision in Assisted Dying Case. Repair Cafe Kingston is a new neighbourhood initiative, hosted by the Kingston Unitarian Fellowship, that promotes repair as an alternative to tossing things out. Residents of Kingston can bring their broken items to fix them on the spot with the help of voluntary repair “specialists”. Our goals are to (a) re-introduce the art of repairing to newer generations and local communities; (b) retain and spread repair knowledge and skills; (c) promote social cohesion by bringing neighbours together from different backgrounds and motivations in an accessible and inspiring meeting. Peace Quest is a non-profit, non-denominational, and non-partisan organization based in Kingston, Ontario that supports and facilitates peace-building initiatives across Canada. W e are a new and growing group of individuals from south eastern Ontario who are committed to taking action on the causes of climate change. Our members represent a variety of religious traditions. We believe that as people dedicated to the common good, inspired by our beliefs and energized by our spirituality, we have a shared responsibility for the protection of creation and a safe climate. While celebrating the uniqueness of our different traditions, we stand together in working for an ecologically and socially sustainable future. Sustainable Kingston’s mission is to enhance the livability and resiliency of Kingston. We do this by sharing knowledge and providing resources and programs that drive community action.